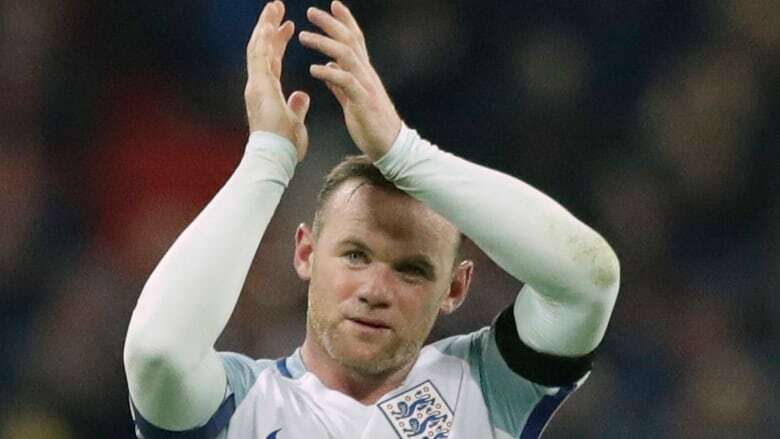 England record-scorer Wayne Rooney retired from international football on Wednesday after spurning an offer to return to the squad. "I believe now is the time to bow out," the former England captain said in a statement. "I will always remain a passionate England fan." A return to form since leaving Manchester United to go back to Everton in the off-season had seen England coach Gareth Southgate approach Rooney about returning for upcoming World Cup qualifiers. But the 31-year-old striker has decided to focus on his club career, quitting England duty with a record 53 goals in 119 appearances — more than any other outfield player. "It was great Gareth Southgate called me this week to tell me he wanted me back in the England squad for the upcoming matches. I really appreciated that," Rooney said. "However, having already thought long and hard, I told Gareth that I had now decided to retire for good from international football. "It is a really tough decision and one I have discussed with my family, my manager at Everton and those closest to me. Playing for England has always been special to me. Every time I was selected as a player or captain was a real privilege and I thank everyone who helped me." Rooney never progressed beyond the quarterfinals of a tournament with England and his struggles on the international stage often saw him cast as the fall guy for his country's inability to come close to adding to its solitary title in the 1966 World Cup. "One of my very few regrets is not to have been part of a successful England tournament side," Rooney said. "Hopefully the exciting players Gareth is bringing through can take that ambition further and I hope everyone will get behind the team. "One day the dream will come true and I look forward to being there as a fan — or in any capacity."